Be sure to apply well in advance of the 8 September 2017 application deadline! The Naval War College (NWC) is a Professional Military Education (PME) institution serving the nation, the Department of Defense and the U.S. Navy. U.S. graduates earn a Master of Arts degree in National Security & Strategic Studies, accredited by the New England Association of Schools and Colleges. The College has four main missions: Educate and Develop Leaders, Support Defining the Future Navy and Associated Roles and Missions, Support Combat Readiness, and Strengthen Global Maritime Partnerships. More information on the College can be found at www.usnwc.edu. 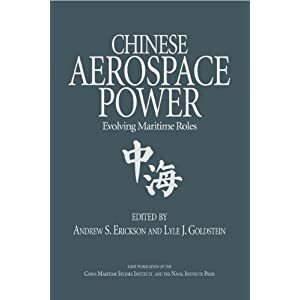 The professor will be a member of the Strategic and Operational Research Department (SORD) which resides within the Center for Naval Warfare Studies (CNWS). 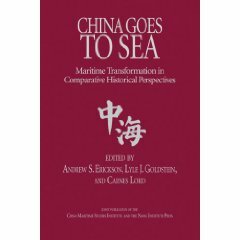 CNWS serves as the nexus for broad-based, advanced research on the naval contribution to a national strategy. The Center produces scholarship and original research and fosters critical and innovative thinking on current and evolving operational challenges of importance for the Navy and the nation. The Center links the Naval War College to the fleet and policymakers in Washington by serving as a focal point for strategic and operational thought; by integrating strategic, operational, and tactical concepts; by linking strategic concerns with technological developments; and finally, by testing and evaluating concepts through methods including war gaming, operations research, policy analysis, and traditional scholarship. Strategic and Operational Research Department: The Strategic and Operational Research Department (SORD) produces innovative strategic research and analysis for the U.S. Navy, the Department of Defense, and the broader national security community. SORD is a center for regional and functional security expertise and analysis at the Naval War College. It supports the full range of Navy leadership and organizations as well as other elements of the joint force and the U.S. interagency including the Joint Staff, the Office of the Secretary of Defense, the intelligence community, the National Security Council staff, the Department of State, and the U.S. Congress. The department houses a number of specialized institutes, groups, and centers that foster deeper levels of research, analysis, and teaching on subjects of critical interest for the Navy. Responsibilities: Duties will include researching, analyzing, writing, and directly supporting Navy leadership on topics of war and future warfare. 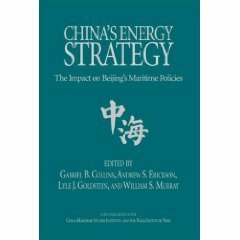 These research and analytic topics will include, but not be limited to, questions of war prevention, initiation and termination, the evolution of conventional military capabilities, technologies, and strategies, and their impact on strategies and operations particularly, but not exclusively, in the maritime domain. Qualifications and Competencies: Qualified candidates must have a terminal degree from an accredited university; a research-oriented Ph.D. is preferred. Ph.D. candidates who are close to defending their dissertations (ABD) will be considered, as will practitioners with relevant experience in the field. Demonstrated interest in and capability to analyze issues of war and the use of military force are required. 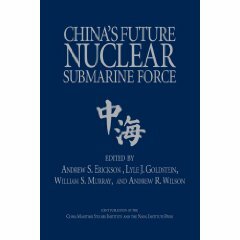 Knowledge of and interest in future military technologies, capabilities, and strategies is desirable. Familiarity with naval/maritime strategies, operational concepts, and capabilities is desirable. Successful candidates will have ongoing research projects on war, security and strategy that they will continue to pursue at the Naval War College. Candidates must be U.S. citizens and capable of obtaining a Department of Defense TOP SECRET/SCI security clearance. The selected candidate will be subject to a pre-employment drug screening test and to random drug testing thereafter. Salary Considerations: Rank and salary commensurate with experience and credentials in accordance with the Department of the Navy Faculty Schedule. Application Process: Applicants should reference VA#NWC-17-28 and submit their application package electronically to: nwc-17-28@usnwc.edu. The application package should include a cover letter, curriculum vitae or resume, and the names and contact information for three references. Applications will be accepted until September 8, 2017. Active duty members may apply under this announcement but are subject to eligibility requirements of the Veterans Opportunity to Work Act (VOW). Active duty members must submit a statement of service printed on command letterhead and signed by the command. The statement of service must provide branch, rate/rank, all dates of service, the expected date of discharge and anticipated character of service (Honorable, General, etc.). Please note: you will be ineligible for consideration if your statement service is not submitted with your application or it shows an expected discharge or release date greater than 120 days after being submitted with your application. Questions should be directed to the chair of the search committee, Prof. Peter Dombrowski, at dombrowp@usnwc.edu. The Naval War College is an Equal Opportunity/Affirmative Action Employer. Responsibilities: Duties will include analyzing joint, combined, and naval dynamics between the U.S. (and allied and partner forces) and potential adversaries. Incumbent will co-lead a faculty/student research group which involves teaching graduate-level seminars for mid-grade and senior military officers, designing and conducting iterated wargames, and supporting student research. Qualifications and Competencies: Qualified candidates must have an advanced degree from an accredited university and experience in assessing and evaluating strategic, operational, and tactical warfare concepts. A research-oriented Ph.D. is preferred but not required. Knowledge of naval and joint systems – or equivalent practical experience in advanced technology and functional capabilities – is desirable. Experience may have been gained by leading and conducting research, systems analysis, systems operation, and/or development and execution of warfighting operations, tactics, techniques, and procedures within the DoD environment. War gaming experience is desirable. Candidates must be U.S. citizens and capable of obtaining a Department of Defense TOP SECRET/SCI security clearance. The selected candidate will be subject to a pre-employment drug screening test and to random drug testing thereafter. Application Process: Applicants should reference VA#NWC-17-29 and submit their application package electronically to: nwc-17-29@usnwc.edu. The application package should include a cover letter, curriculum vitae or resume, and the names and contact information for three references. Applications will be accepted until September 8, 2017.